Despite sharing an identical historic background with the Bai, those living in Lijiang now sternly insist on being called Bei and have designed a different ethnic dress. Why the Bei are so eager to separate their identity from the Bai is uncertain; but there is no doubt that they view themselves as distinct. One missiologist has said, "Ethnic identity is not so much in the blood as it is in the head (or in the heart) of the subject, or the observer." 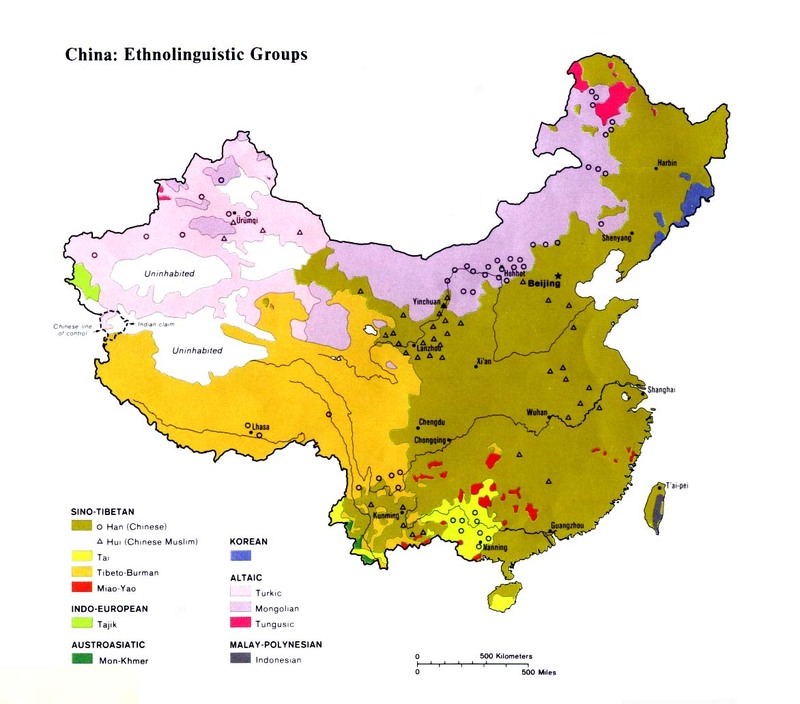 The Bei were a part of the Bai minority group who migrated north about 250 years ago. As late arrivals in the Lijiang area, the Bei were forced to take the worst land on the mountains and to do backbreaking work as manual laborers. The plight of the Bei improved after the Communist victory, when land was redistributed equally to all the inhabitants of Lijiang, regardless of historic ownership. Bei women can often be seen in the busy market in Lijiang, dressed in red and blue sleeveless jackets, topped with a blue and white headdress. The Bei are a family-oriented people. Marriages are monogamous and the men lead the families. Their diets are simple, consisting of rice, vegetables, and grain. 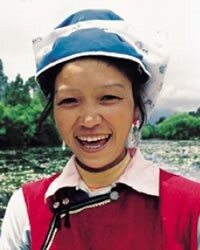 Bei women do much of the heavy work, hauling baskets of stone attached by a strap to their foreheads. One Western writer who lived among the Bei in the 1940s claimed that among all the peoples of Yunnan they were "closest to Chinese, having adopted the Celestial Civilization almost in its entirety." Many Bei youth today find the Han Chinese culture attractive. Many speak only Mandarin and are not interested in following the customs and religious beliefs of their forefathers. The Bei worship Daoist as well as Buddhist deities, although there have never been community temples or an organized religious priesthood among them. The Bei appear to use "whatever works," according to their felt needs. Few Bei have any understanding of the gospel or the Person of Christ. There are a few Naxi believers in Lijiang, but they have yet to reach out to their own people, let alone other groups in the area. In recent years, teams of foreigners have blanketed the Lijiang area with Chinese gospel literature and cassettes; however, apart from scattering some spiritual seed, this seems to have been of little use to people who have no background to or comprehension of Christianity. View Bei in all countries. 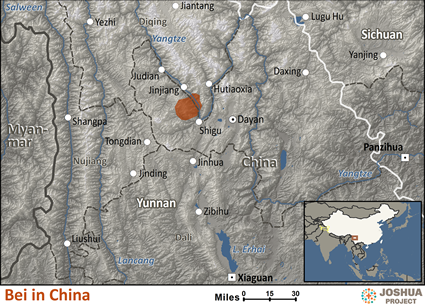 Location in Country: Approximately 23,000 people who identify themselves as Bei live in Lijiang County in the north central part of Yunnan Province. Lijiang County - home to as many as 26 different tribes - is in a picturesque location with the 5,490-meter (18,000 ft.) Jade Dragon Snow Mountain towering above the Lijiang plain. There were a total of 36,494 members of the Bai nationality in Lijiang County according to the 1990 census.